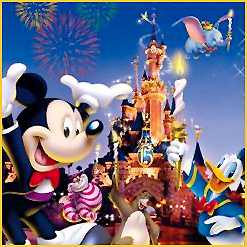 Disneyland Paris or known as EuroDisney is celebrating its 15th anniversary this year. It was the forth themepark for Disneyland. EuroDisney had more than 160 million of visitors over the last fourteen years. It has about 12,300 employees up till today. They are called “Cast Member”, a term used for its employees. The Cast Members came from across Europe given the opportunity to undertake a wide range of jobs from performer to marketing manager to hotel receptionist, and even firefighter! Hannibal Rising” attempts to show the man behind the muzzle by delving into his formative years — with risible results. On paper, there might have been something to the notion of how an innocent young boy could grow up into a notorious serial killer with a taste for fava beans and a nice Chianti to go along with that insatiable appetite for human flesh. Photo – Do not see if you have heart problem!!! Warning: Do not enter/try if you have heart problem!!! Seriously not suitable for people who has heart attack. Please find a pair of shoe in front of this house within 3 minutes. Criss Angel has long been a controversial magician, illusionist and escapologist that perform various incredible magic performances such as Walk on Water and Levitation magic feats, as featured on Criss Angel Mindfreak distributed by A&E Network. Criss Angel Mindfreak debuted in 2005, and showcases unusual stunts and street magic acts by illusionist Criss Angel. And many viewers and critics allege that Angel uses camera special effects, post-production effects, forced viewing angles, and assistants acting as amazed spectators for the TV audience. Whatsoever, the magic shows by Criss Angel proved to be entertaining, and Mindfreak now enter season 2. Criss Angel born Christopher N. Sarantakos is an American musician, magician, illusionist, escapologist, stunt performer, and the creator and director of the Criss Angel Mindfreak television series on A&E Network. Now he is trying to simulate and replay what Jesus Christ did more than 2000 years ago, by walking on water, in a magic and illusion performance that’s stunning. Criss Angel has performed numerous levitation magic tricks, that is as if Criss Angle levitate by flying up and floats on the sky, without any supporting device, special equipment or setups (such as wires). On Criss Angel Mindfreaks Levitation episode video below, he uses his self-proclaimed telekinesis to levitate a volunteer 4 feet in the air before a perplexed street audience (most likely are the author in the magic tricks), and performs numerous levitation of himself.